Gulmarg, located in the state of Jammu and Kashmir, is at a distance of about 55 kilometers from the capital, Srinagar. Present at an altitude of 2650 meters, the place is swarmed by tourists for the winter sports conducted around the region. 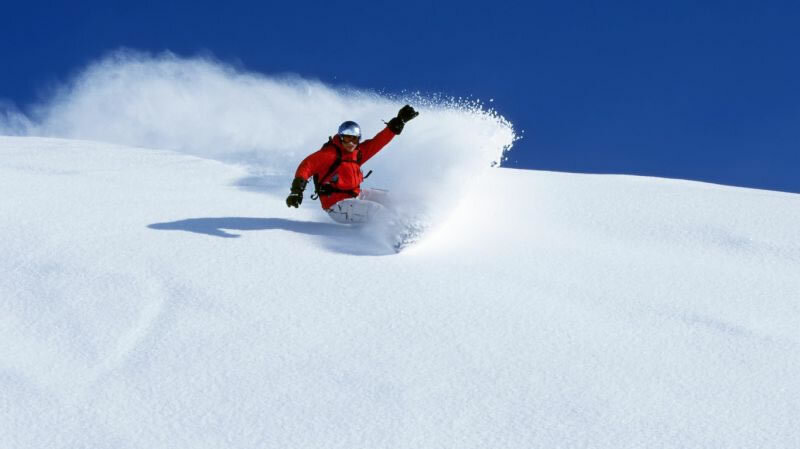 Skiing is the popular sport in Gulmarg, which is carried out on the slopes of the Apharwat peak. The dazzling, white mountain peaks and the lush meadow of flowers are what draws visitors to Gulmarg in huge numbers. Let’s go through the popular attractions in Gulmarg and the best activities at various times of the year. After Breakfast drop to Skiing Ground & full day for Skiing or sightseeing tour in Gulmarg by Car and evening back to Hotel. After Breakfast leavce for Srinagr (The Venice of Asia) Check In at Houseboat, Shikara ride In World Famous Dal Lake, Vist to Other tourist attactions in Srinagar, Evening at leasure for Shopping, Over night stay in Houseboat. After Breakfast leavce for Srinagr Airport to catch onward flight. By air, Gulmarg can be reached by the well-connected international Srinagar Airport, which is present at a distance of about 50 kilometers away. Gulmarg has a good road network, and is easily accessible through the neighboring cities via buses. Driving through the hairpin bends of the region is also a fun activity which is carried out by visitors. Gulmarg does not have its own railway network, with the nearest railway station being present in Jammu, which is at a distance of about 300 kilometers away. Apharwat Peak The majestic peak, along the slopes of which skiing takes place, mesmerizes anyone visiting it. The winter vista with its pure whiteness gives a mixture of adventure and beauty. The Gondola ride to the top is one of the most pursued activity here. The view from the top is one of breath-taking marvel. Gulmarg Biosphere Reserve This is the place to visit to get to know the varied biodiversity of the region. Fauna like the Brown Bear, Musk Deer, Koklas, Griffon Vulture etc. can be observed in their natural habitat. The motley of flora is also a dazzling sight. Golf Course The Golf Course in Gulmarg has the distinction of being the highest golf course in the world. The scenic panorama around the area, with a plethora of hotels offering good dining, make this location a favourite among golf lovers. Outer Circle Walk This 11-kilometer path is a beautiful route from which the whole of the valley can be viewed. A highly romantic destination, the enchanting view of the meadow and the surrounding landscape is indeed a magical walk to be experienced! Khilanmarg Just 6 km away from the Gulmarg bus top is this beautiful meadow of Khilanmarg which is covered in flowers and offers a view of the entire Himalayan range with the added bonus of getting to see Nanga Parbat. It is a pure delight in the spring season when the whole area is engulfed in flowers. It is also near winter ski runs and sits in the middle of a valley. A must visits for nature-lovers! The Baba Reshi Shrine is often referred to as being a quaint little temple that is surrounded by intricately carved out walls. Known for the tasty langar it offers, make sure to grab a bite when you are there. The shrine is also known to be historically significant because parents offer their prayers here for their children’s health. Make sure to be appropriately dressed and do pay a visit for the divine serenity of this place. Alphather Lake The beautiful Alphather Lake is located about 13 km away from Gulmarg and surrounded by the snow-capped hills of the Apharwat range. It is frozen till the middle of June and takes up one full day for a visit. The lake is crystal-clear from having descended from the Himalayas directly and offers tranquillity like no other place. Gulmarg Gondola If you are visiting Gulmarg, chances are that you are here to try your hand at skiing. Gondola lift is one of the major attractions of the hill station and is part of the only cable car in the entire of Asia that is at the elevation of over 13,500 ft. above sea-level. The lift gets its name from the Gondola village of Gulmarg. It stretches over 5 kms and offers stunning views of the valley. It is definitely a must-see when you’re visiting Gulmarg! Gulmarg is the perfect destination for people who love snow and enjoy treks as well as couples who want to spend some quality time with each other taking in the serenity of this place. Gulmarg has been the location of numerous Bollywood movie shoots and rightly so as the snow-capped mountains provide the perfect vision of heaven.